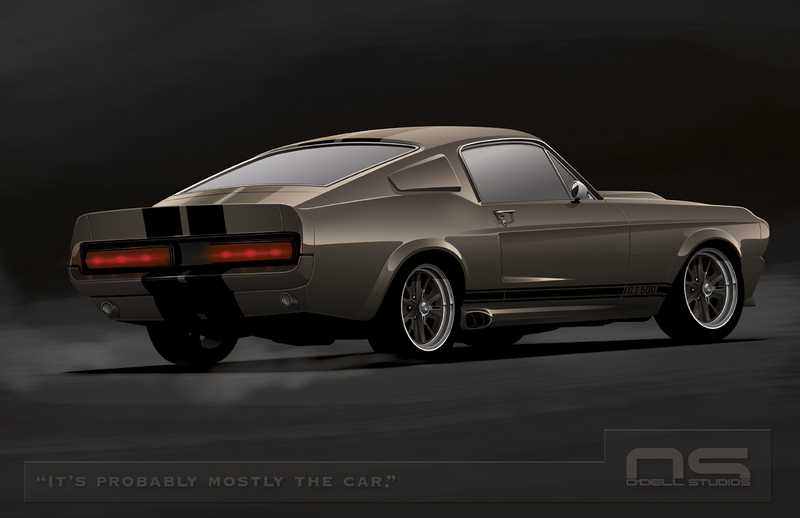 Eleanor the name - when people think of the movie Gone in 60 Seconds - conjures images of this specific car and the Chip Foose design elements that made it the icon it has become. But from the perspective of the story from the film, Eleanor is more than just the car. It is what the car represents. It is the relationship most car enthusiasts can relate to. Everyone has their own personal Eleanor, I know I do. Mine does happen to be a '67 Mustang, but that's nothing more than coincidence. We got off to a rocky start years ago, overcame a number of obstacles along the way and will certainly face many more in the future. For some people ownership of a dream car can be illusive all by itself and whatever make or model that vehicle happens to be, it is your Eleanor. For other people, finances allow ready pursuit of the perfect car, but all too often the current project loses its luster and only the car that can truly satisfy is your Eleanor. Eleanor is a journey, not a car. I wanted to do justice to the G.T. 500 from Gone in 60 Seconds, but also capture the feeling of the movie as well. I think cars are all about motion and emotion and I have been searching for ways to capture those concepts in my work. It's easy for me to picture the lights and the sounds, the feelings and the power, but it's not quite so simple to transfer them to a still image. Just like Eleanor, art and design is a journey to find your own way and I'm proud of this new piece. I hope you enjoy it too.